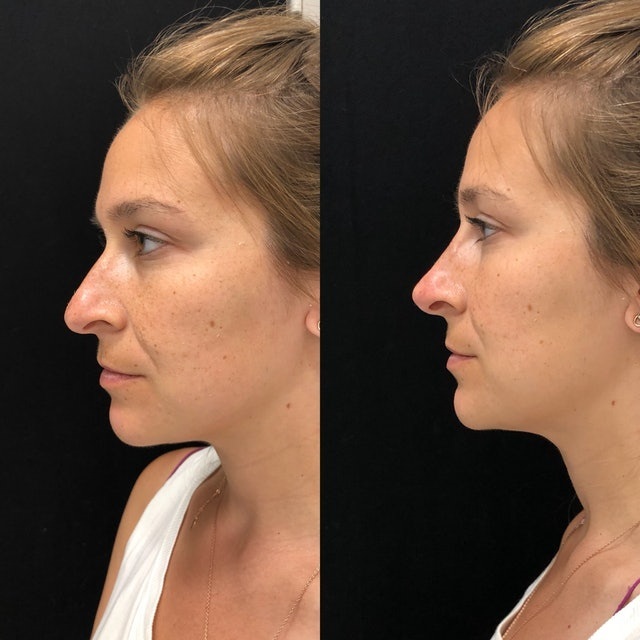 The Zoe Report recently published an article entitled “I Had a Nonsurgical Rhinoplasty & The Results Blew Me Away,” which highlights Dr. Devgan’s work, while also sharing her expertise on the procedure. The nonsurgical rhinoplasty has become a signature procedure of Dr. Devgan, as the before and after photos always draw awe-inspired reactions from her followers. The treatment allows patients to “test-run” the cosmetic alteration without the irreversible commitment of its surgical counterpart. Dr. Devgan compares the two procedures to renting or buying a home, “the nonsurgical rhinoplasty is almost a way of renting or leasing without making a permanent commitment." Dr. Devgan also discusses other benefits of the nonsurgical approach, adding that patients are somewhat able to collaborate, as opposed to “when you’re having surgery, all the important decisions are being made when you’re sleeping." She’s also unafraid to share the downside of the procedure, which is that the results are all too temporary. Read the full article here.